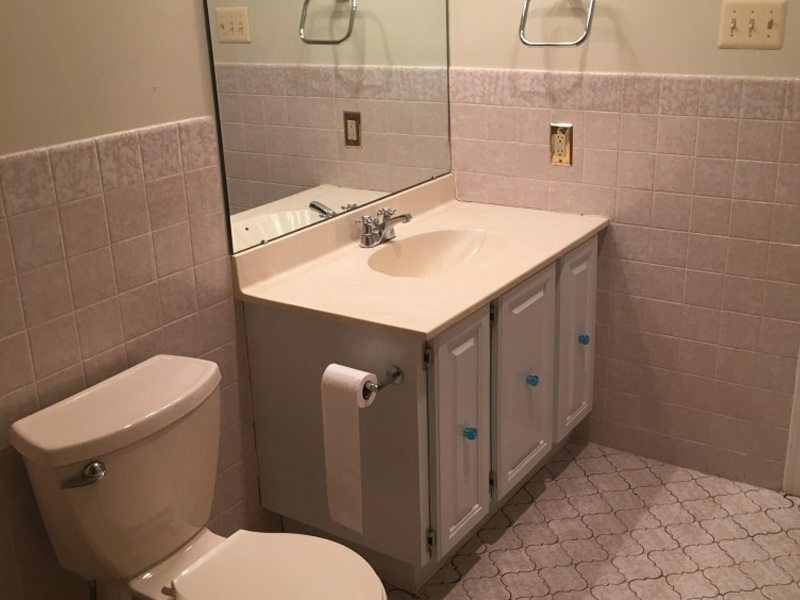 Monk’s Home Improvements completely gutted and remade this Mendham, NJ home’s bathroom. 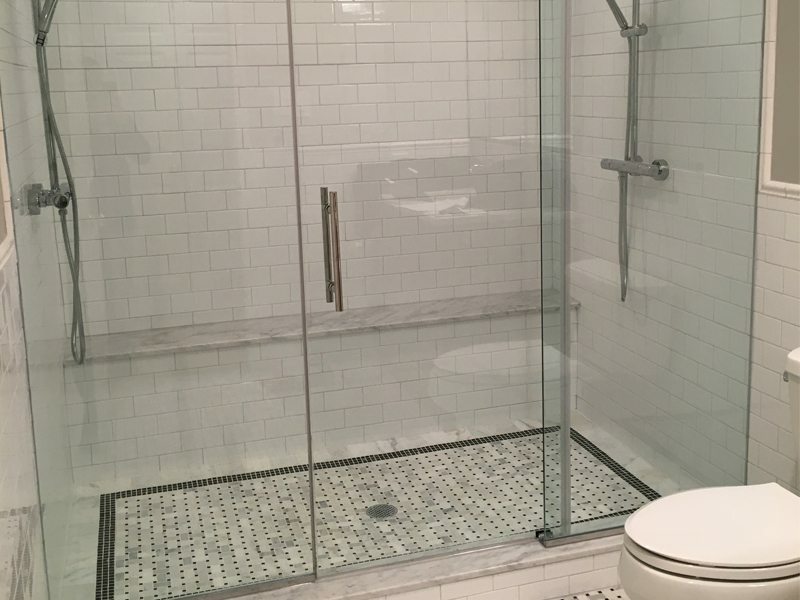 A brand new shower, toilet, vanity, and tile work were brought in to completely transform the space. 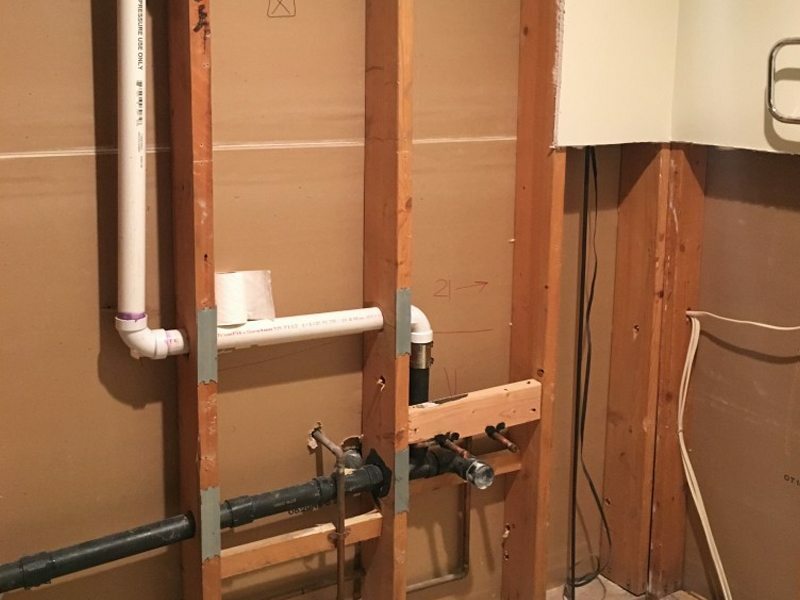 This project started with our team at Monk’s gutting the entire bathroom. All of the bathroom materials were purchased through Monk’s. A new double shower (shower heads on both sides) was installed. A shower bench with a marble top, was fitted across the full width of the shower. 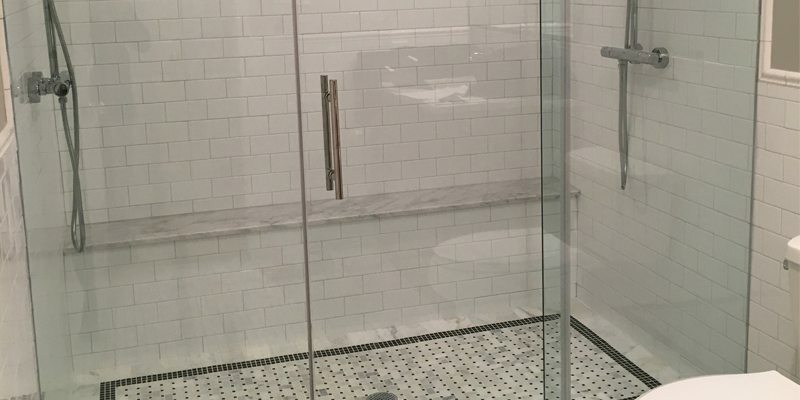 Our team of skilled workers installed brand new subway tile on the walls of the bathroom. The bathroom was upgraded with a brand new toilet, and vanity. 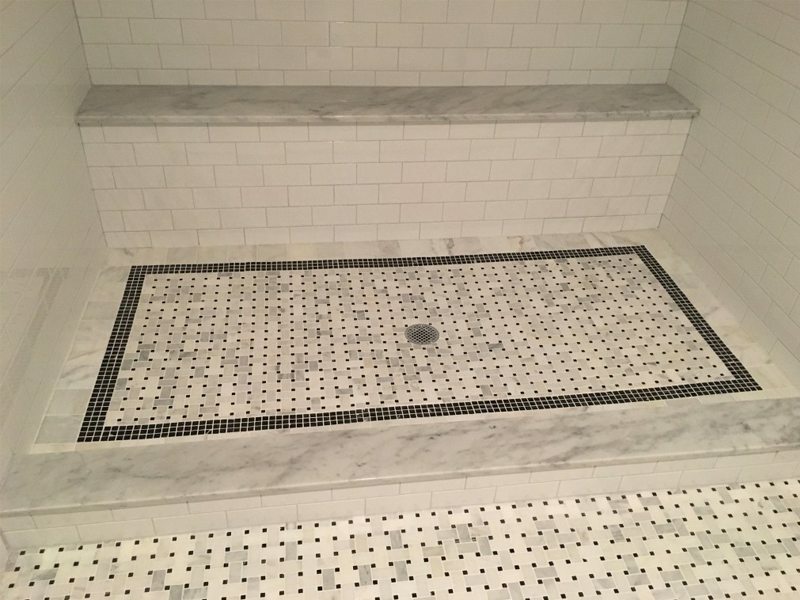 A marble mosaic tile floor was put in with a special accent tile for the shower floor. A new three panel glass shower door was also installed. Two of the doors were fixed, while one was a sliding panel. All new lighting and a new mirror was also installed. The entire space was also treated to a full interior paint job. Another amazing project completed by our team at Monk’s Home Improvements. 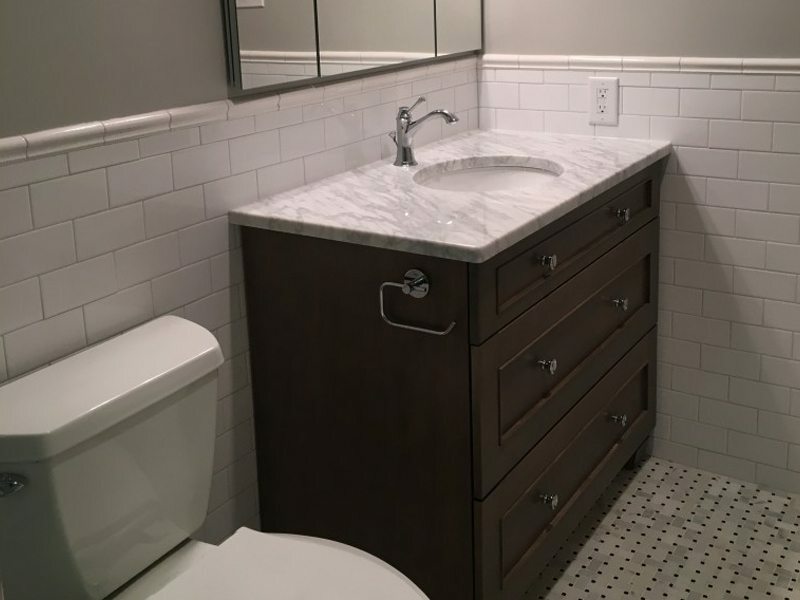 If you are considering remodeling your bathroom we would like the opportunity to tell you why we think we are the best bathroom remodeling contractor in Mendham, NJ 07945.